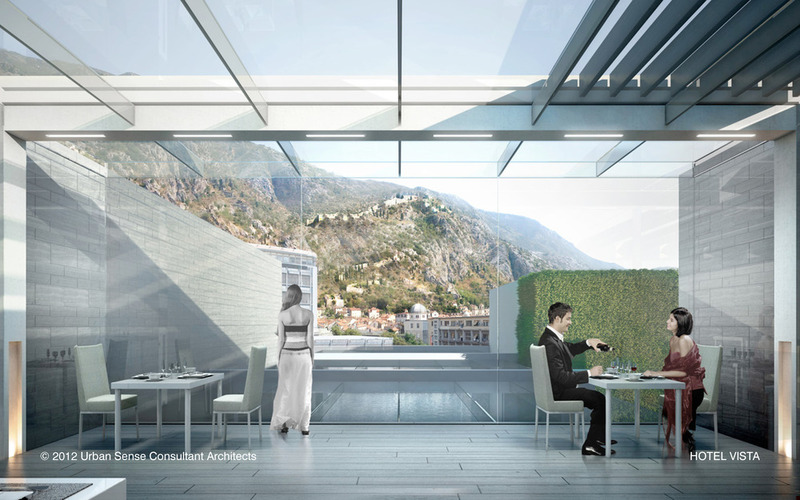 Situated on the sea edge, between UNESCO listed Kotor 'Old City' and the 28km long inlet of Kotor Bay, this hotel proposal establishes a unique relationship with its setting, developed through detailed analysis of specific site features and a study of views. 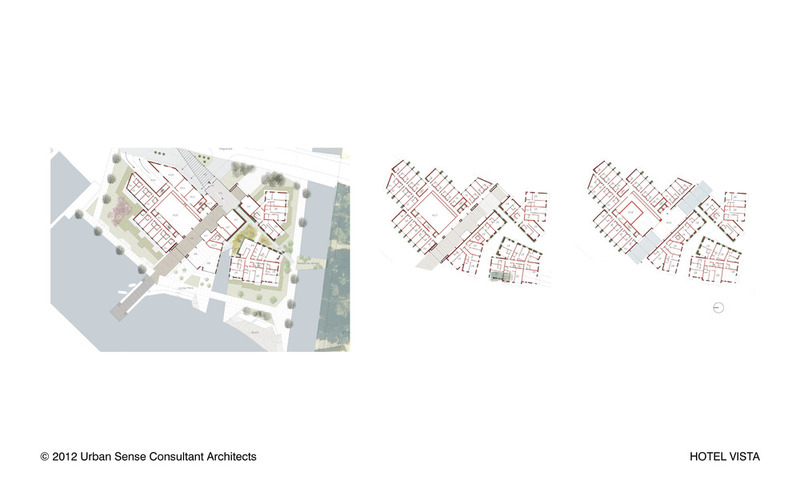 The site’s relationship with Old City, Mountain landscape and Sea bay is enhanced through careful alignment of building forms, which converge at a reception area accessible by car, foot and boat. A central axis constitutes a public street leading into the sea, which is lined with shops, conference hall and all-day dining, and covered by an elevated swimming pool and fish restaurant that frame vistas of key contextual features. The geometry of building forms off the central axis responds to the scale and orientation of the city, the urban grain, a new boat arrival area and bridge to the park, while optimising views from hotel rooms and dual aspect apartments. 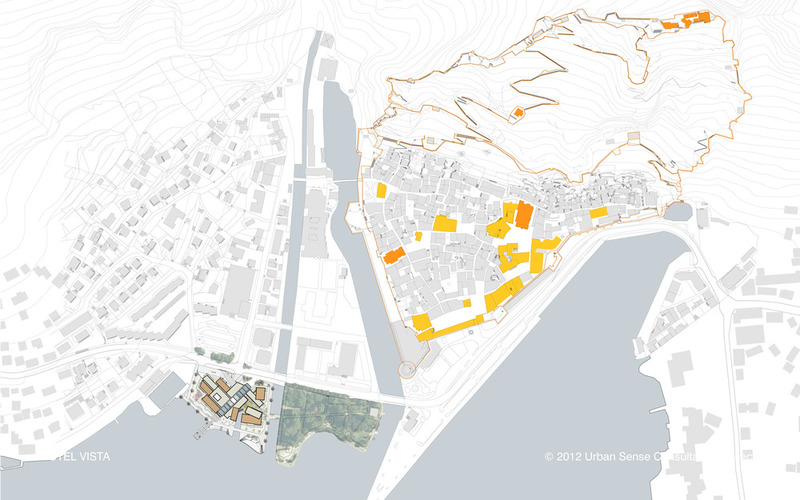 The resulting dynamic composition is a harmonious synthesis of City, Mountain and Sea, which reforms the inherent identity of Kotor.